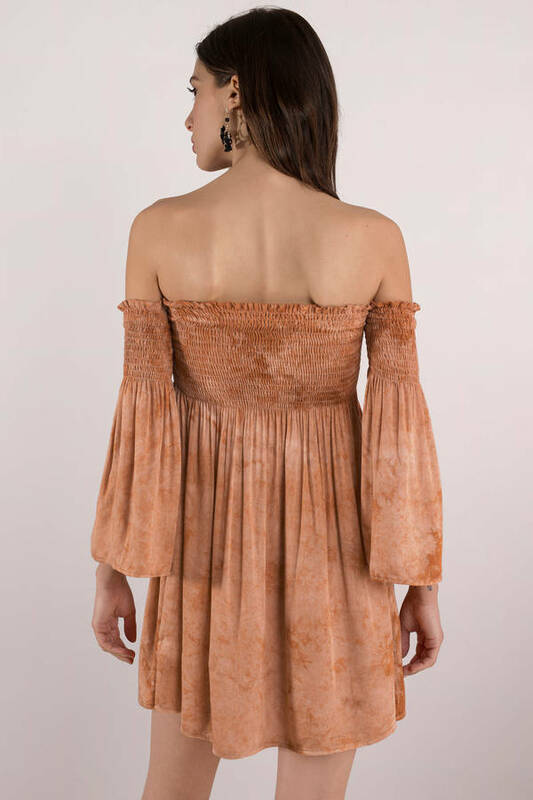 Check out Tobi's Off Shoulder Smocking Dress Prep for your next festival with the Peach Multi Off Shoulder Smocking Dress by Blue Life. This dip dye dress has a smocked bardot neckline with a babydoll silhouette and flared 3/4 length sleeves. Pair this tie dye dress with booties for outdoor concerts this fall. 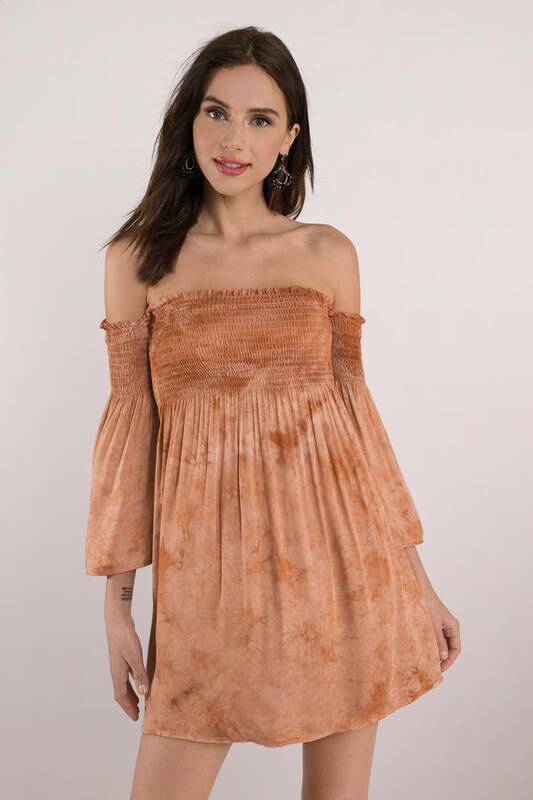 Prep for your next festival with the Peach Multi Off Shoulder Smocking Dress by Blue Life. This dip dye dress has a smocked bardot neckline with a babydoll silhouette and flared 3/4 length sleeves. Pair this tie dye dress with booties for outdoor concerts this fall. Peach Multi modeled on a size X-Small.